hey everyone! time for another northern california post from our field reporter, righteous fist! 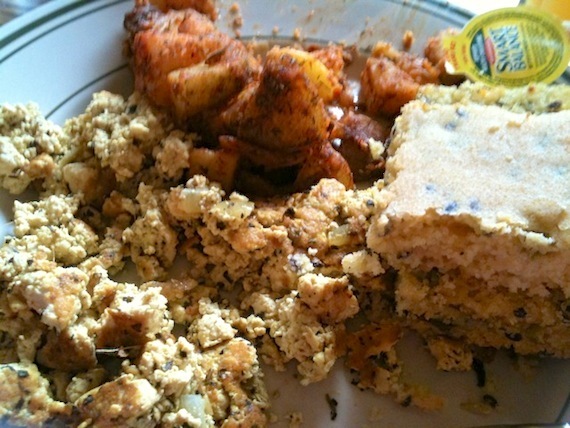 you may remember his last soul food find in eureka, and today he’s bloggin’ breakfast foods from arcata. enjoy! On our way out of Eureka we made a stop for breakfast at Wildflower Cafe in Arcata. They serve eggs and dairy there but also have a good number of vegan choices. Since having so many options to choose from was a rare occurrence on this road trip, I opted for both a savory AND sweet dish.